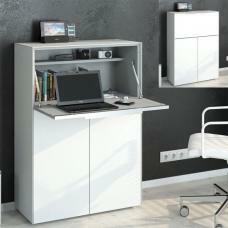 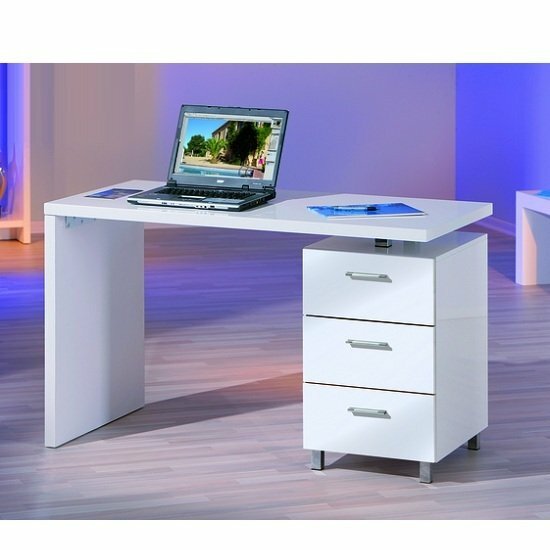 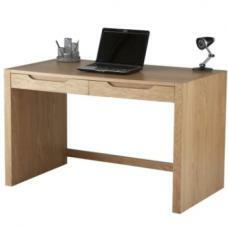 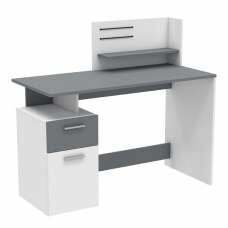 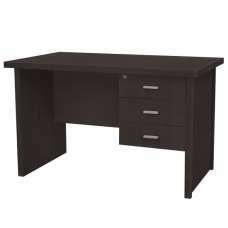 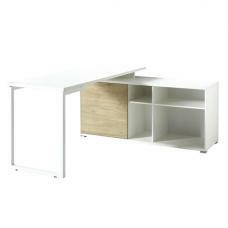 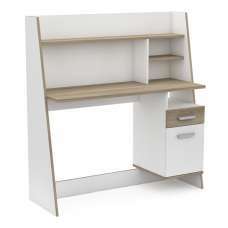 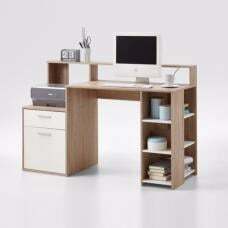 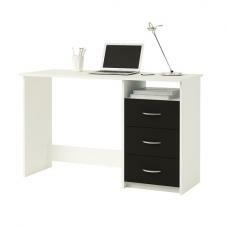 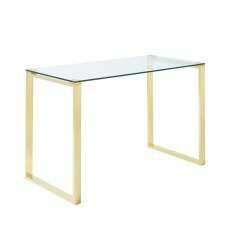 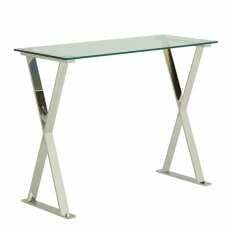 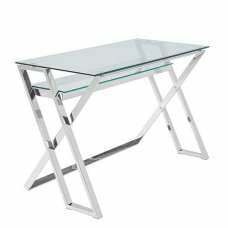 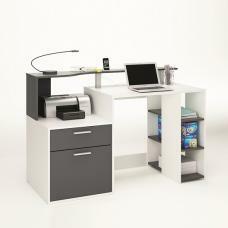 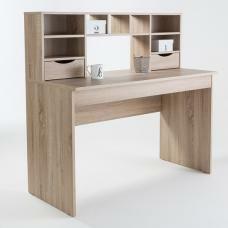 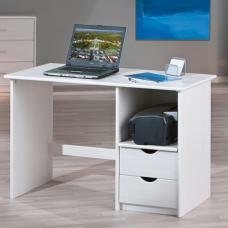 John Contemporary Computer Desk In High Gloss White With 3 Drawers, this stylish desk is ideal for writing at home or a busy office. 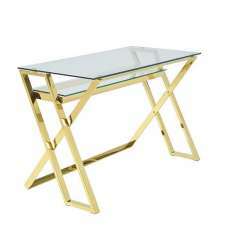 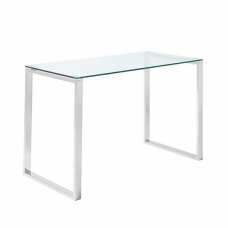 Made of Thick MDF finished in High Gloss White With Chrome feet. 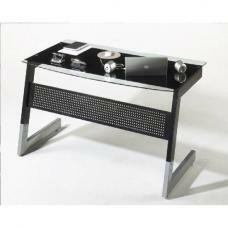 It features 3 Drawers for handy storage, which accentuated by elegant silver handles and gives stylish look.